A recent Federal ruling impacting North Carolina upheld the right of an employer to require a minimum of full-day increments for unpaid personal leave for certain professional employees. The ruling affirmed that such a policy did not create any conflict with their classification and treatment as exempt from overtime wages. On August 16, 2013, the United States 4th Circuit Court of Appeals, which governs claims in North Carolina, affirmed a decision by the Maryland United States District Court in a wage and hour action brought against Rite Aid Corporation. The suit was filed by pharmacists employed by Rite Aid, alleging that Rite Aid’s unpaid leave policy for pharmacists was improper, and thus voided the exemption from overtime. The pharmacists took issue with Rite Aid’s policy that allowed unpaid personal leave only in full-day increments once employees exhausted their other paid leave. They asserted that this policy resulted in improper deduction from wages, triggering a loss of exempt status under federal and state wage and hour laws, thus entitling them to overtime pay. At the heart of the case was the salary basis test, which, along with other criteria, is necessary for an administrative, executive, or professional employee to be exempt from the overtime requirements of the federal and state wage and hour laws. If an employer makes improper deductions from an otherwise exempt employee’s salary, the employer can lose the benefit of the exemption. The pharmacists argued that Rite Aid’s unpaid personal leave policy did just that and that it was created for Rite Aid’s benefit. Specifically, the pharmacists claimed that because Rite Aid’s policy only allowed for unpaid leave in full-day increments, it required exempt employees to take full days off when they might have wanted to take only two or three hours off, thus having the effect of improperly deducting employee wages for less than a full-day absence. Rite Aid conceded that it created the policy partially for its benefit, as Rite Aid must have a pharmacist on staff at all times when the pharmacy is open. As such, partial-day absences are problematic for business operations. However, Rite Aid argued that the unpaid-leave policy did not destroy the exemption because the applicable implementing regulations of the wage and hour laws specifically allow for deducting from wages for full-day absences without affecting the exempt status of administrative, executive, or professional employees. The District Court agreed with Rite Aid, observing that the employees elected to take the leave and that they were not forced to take time off. It further opined that companies would not offer the benefit of unpaid personal leave in full-day increments if it meant their exempt employees would lose their exempt status. 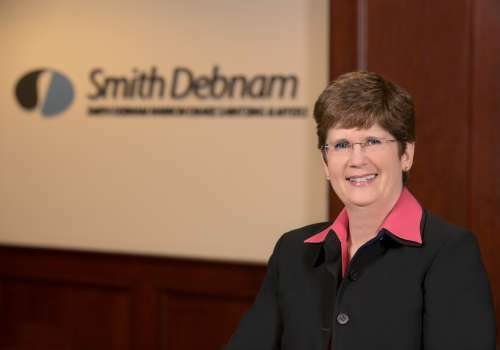 If you have questions or concerns about this federal court decision or other legal issues, please feel free to contact Connie Carrigan at ccarrigan@smithdebnamlaw.com.